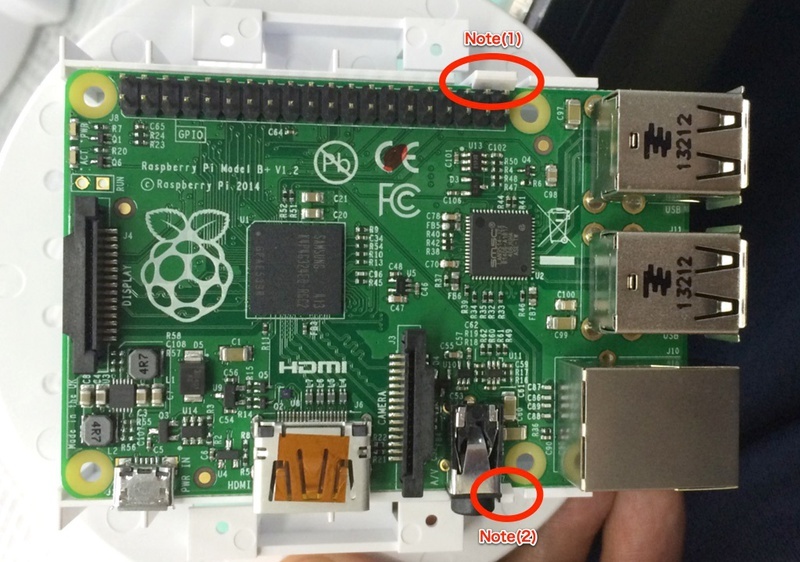 We tried to fit the new Raspberry Pi Model B+ to Rapiro. 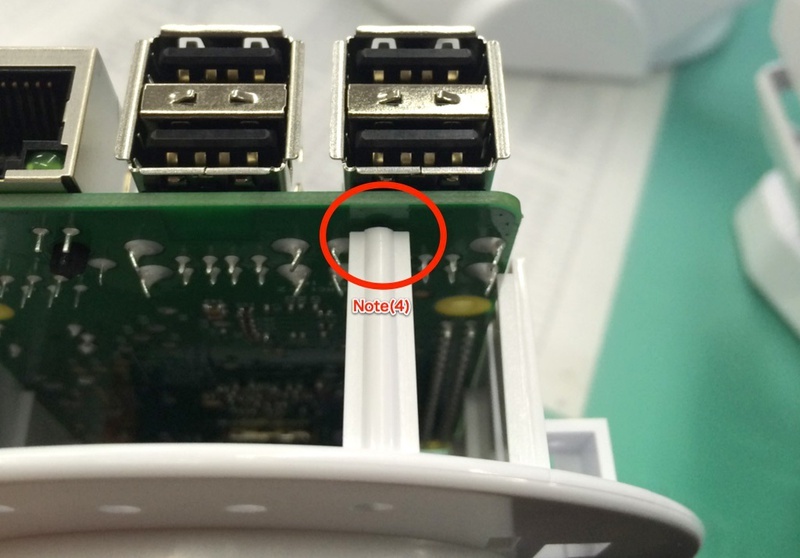 We connected Raspberry Pi Model B+ to Rapiro, and tested an existing software to control the Rapiro. The software worked fine with everything, and we didn't find any problems with the Rapiro's behavior caused by the differences of power consumption when using Raspberry Pi Model B or B+. Note (1) : This latch can be used as it is. Note (2) : This latch should be modified. Note (3) : This latch should be modified. Note (4) : To cut a part of the latch, then Model B+ can be used into the Rapiro. 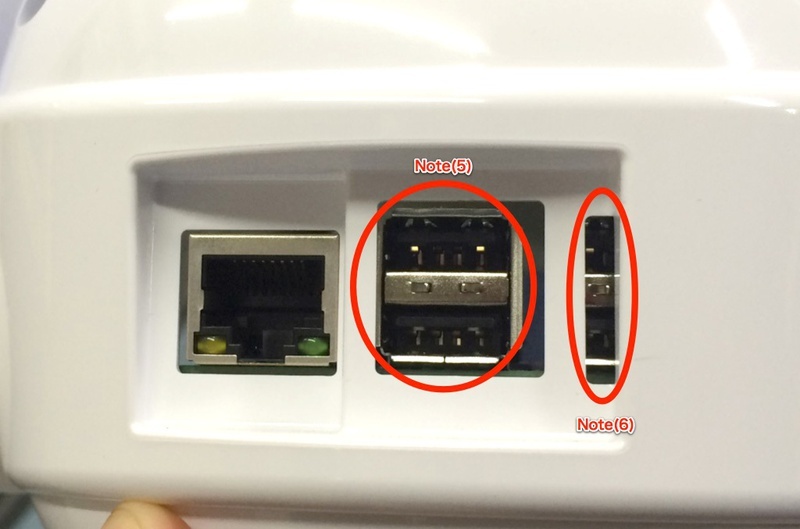 Note (5) : The USB connector in the left side is available, but it is placed at a position recessed on the deeply inside of the Rapiro head, so the wide USB peripheral might not be able to use. 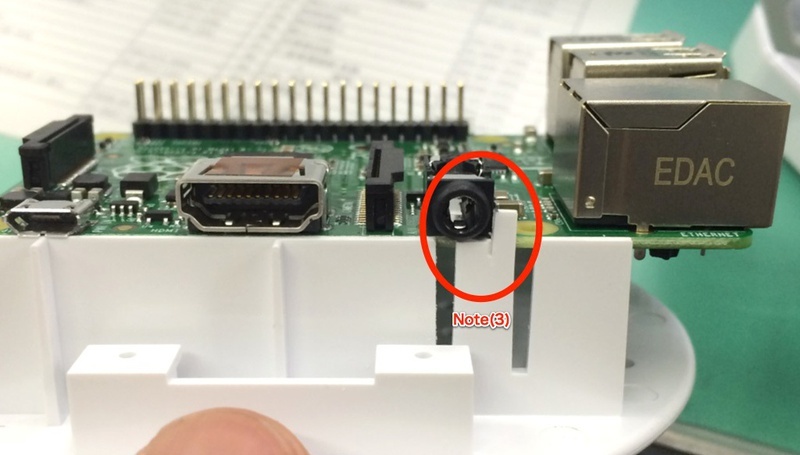 Note (6) : You cannot use the right side connector.